Buddhist thangkas. Buddha Thangkas ( Tibetan) or thankas ( Nepali) are very fine paintings on canvas often with gold leaf . There are many styles and forms of thanks of all the many Buddha figures and Buddhist deities, Buddhist gods and Buddhist goddesses. These can be small to life size. 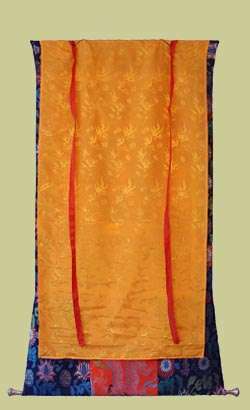 They are traditionally very present in Buddhist Gompas or monasteries as well as being used for individual Meditation and devotional practice. 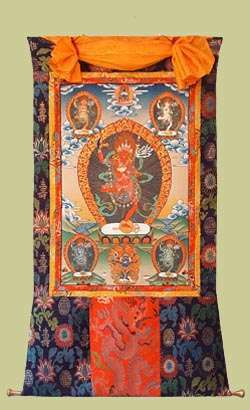 The Buddhist Vajrayana practitioner uses a thankga image of their yidam, or meditation deity, as a guide, by visualizing “themselves as being that deity,or before and in the presence of the figure thereby internalizing the Buddha qualities so that they become their own . 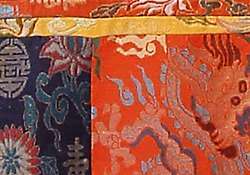 All Buddha Thankgas / thankas are mounted in a traditional brocade (the exact colours and textile pattern will vary from thangka to thangka) which is in proportion to the height of the painting it mounts (approximately 1.8 times the painting height). If you don’t see what you are looking for please contact us and we can advise – we have many happy customers who have used us to source something special or have something made to order. Items marked ‘special order’ are not in stock but can be re-ordered. Please contact us for estimated availability and cost – the cost shown is a rough approximation. Thanka / Thangka painting developed in the northern Himalayan regions. Newari Thankas (Also known as Paubha) have been made in the Kathmandu valley from the 13th century onwards. For the sake of clarity, the brocade is not shown in the images of the paintings on sale. When on display the veil is drawn up by two sashes. Often, when the painting is not featuring in a ritual, the veil is dropped as a matter of respect. 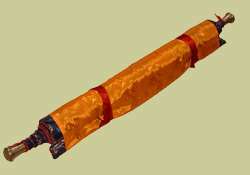 For transport and storage the thangka is rolled up with the veil and painting facing outwards. Each painting takes anything from one month to six months to complete.